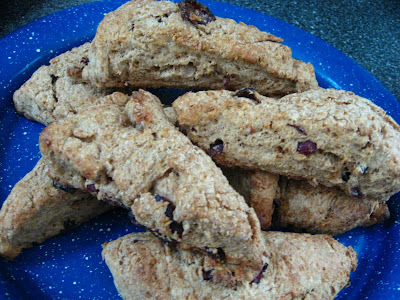 This is my version of Mrs. Eliot's buttered scones. I've made these many, many times, and they seem to have universal appeal. 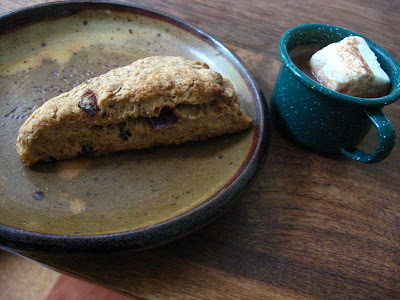 I've even gotten the comment "these are the best scones that I've ever had." We sometimes have clients stay in our cottage showroom, and I like to provide them with everything that they need for breakfast. These scones are always made and even though there may only be 2 people staying with us, there are never any left behind. 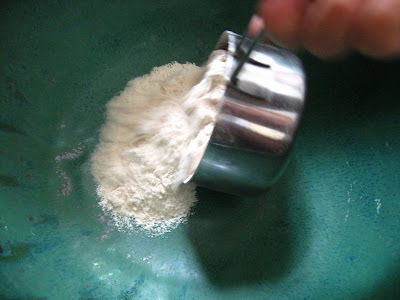 In a large bowl, measure out 1 cup of white whole wheat flour (I use this a lot. 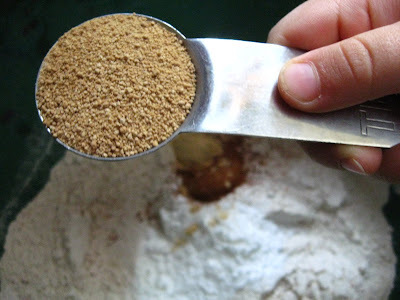 It's fine like white flour, but it has the whole grain and therefore the nutrients) and 1/2 cup of whole wheat flour. 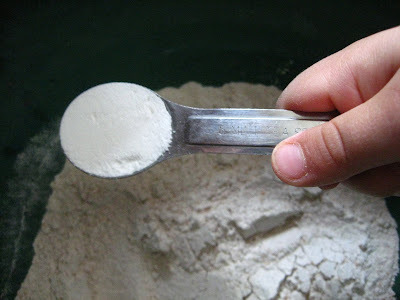 You can also use 1 1/2 cups of white whole wheat flour or your flour of choice. 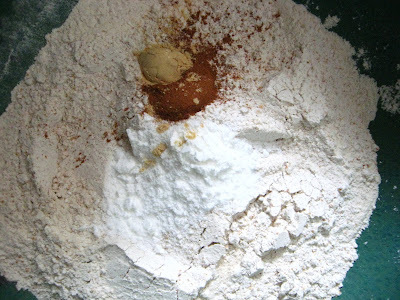 If you use only white whole wheat you may need a bit more flour as your dough will be wetter in my experience. 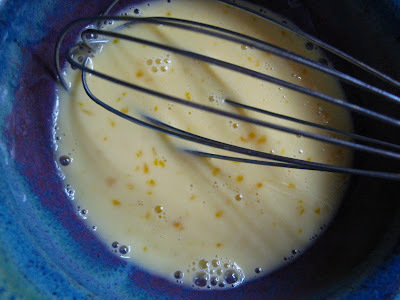 Blend the dry ingredients with a whisk and add 4 Tablespoons of butter. 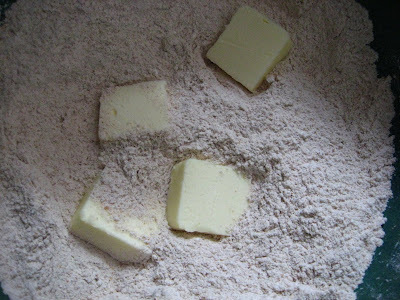 Work the butter into the dry ingredients with your fingers until it looks like little crumbs. and beat these ingredients together. 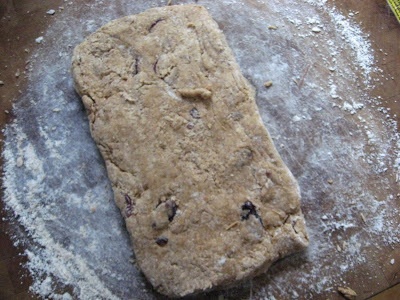 Place dough on a floured board and work with hands (as minimally as possibly) to form a rectangle. In my experience it is okay if the dough is a little wet. Cut into 8 triangle or the shape you prefer. 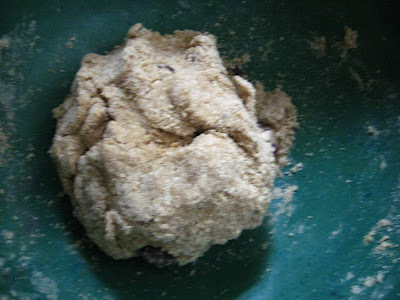 I don't like to over handle this dough so I don't like use a biscuit cutter and rework the leftover dough. 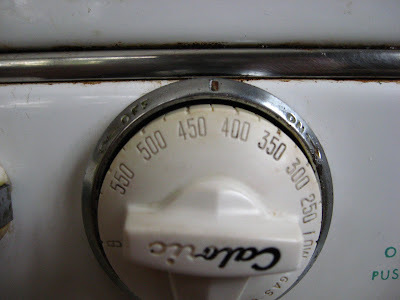 Place in the oven for 12 minutes until they are golden brown and smell delicious. your photos make me so happy...and so hungry!!! Oh Elizabeth - I LOVE LOVE your bowls! 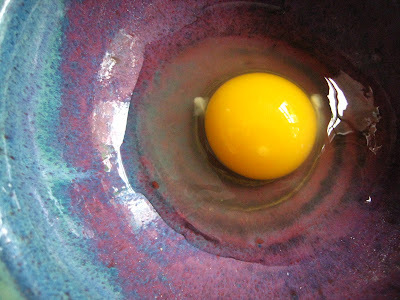 the egg in the bowl photo is fabulous! Very yummy! I recently obtained a large amount of raw farm butter - that I'm NOT use to, taste wise, nor is my family (on toast or what not) - this sounds like it would be a great recipe to use up some of it! Thanks! your comment made my day. if what I do makes even one person happy it is time well spent. thanks! patty-jean...I definitely have a thing for handmade pottery. cut your butter down into reasonable portions and freeze it. 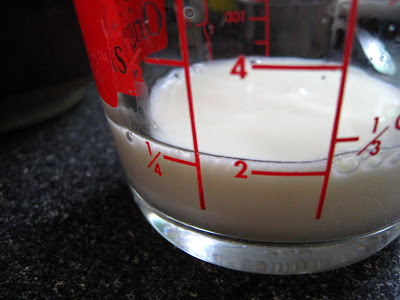 it will be great for baking if you don't get used to the taste. 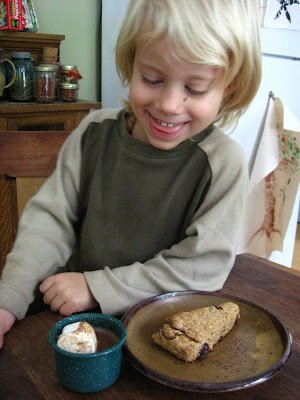 love the pics, especially the cut scones. Maybe someone has asked this in the past, but what is sucanat? 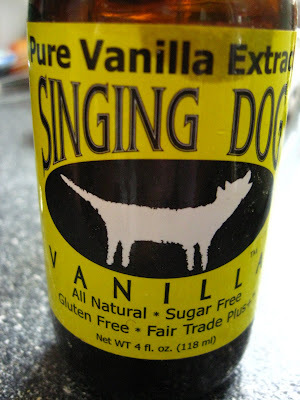 I've heard of it, but don't know exactly what it is-can you use sugar instead? rebecca, thanks for asking...sucanat is non refined cane sugar. 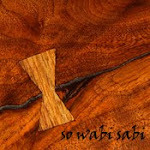 It retains the molasses from the cane sugar and therefore has minerals and trace nutrients that refined sugar does not. I use it like sugar, so yes you could just use sugar. Although, I would probably cut back a smidge. 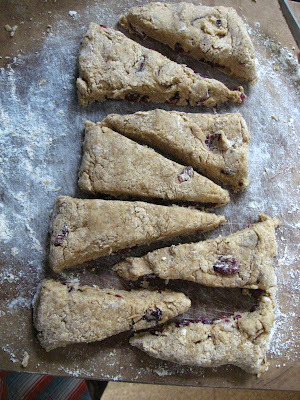 I've never been able to make scones as beautiful as that! I'll have to try this recipe! I am going to definitely try this out! YUM! 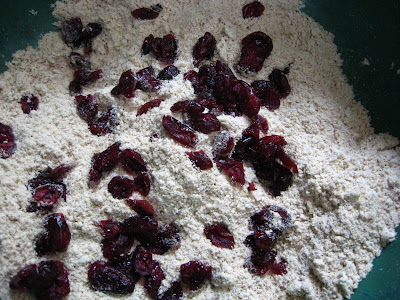 Dried cranberries don't last too long in our house.